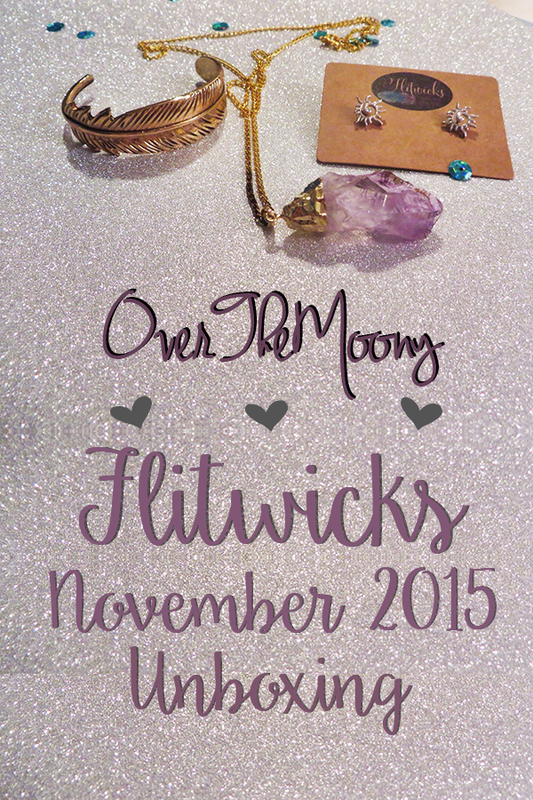 I am completely obsessed with the elemental trend going on right now and I could not be happier when I saw the previews for the November Flitwicks box. This month was themed Earth, Wind and Fire, and it is hands down my favorite box so far! Everything in this box is so beautiful. If you're new to this one, you can go here to sign up. It is $12 a month for three pieces of jewelry based around a different theme each month. First up, we got these adorable sunshine earrings that totally feed my fire sign! Next is this beautiful feather cuff. I've seen so many of these on the market and have wanted to grab one so this is perfect. Stacking bracelets is super in right now and this will work perfectly for that or would look amazing on its own as well. And last but certainly not least is this stunning amethyst necklace. There is an extra little touch of having a couple of the links of the chain be darker where the charm rests. This is such a beautiful piece and I cannot wait to wear it! That is the entire box. Like I said, completely in love with this one! Next month's theme is, appropriately so, Let It Snow and the preview picture makes me very excited for the box. Did you get this month's box? Or maybe this box convinced you to get subscribed? Let me know in the comments!